The National Retail Federation estimates that this year, consumers will spend an average of $153.08 on gift cards, for total sales of $25.9 billion. That’s Billion. While gift cards can be purchased for a wide variety of products and services, experiences such as visits to the spa remain a sought-after gift. And, why not? Over 58% of shoppers surveyed said they would enjoy receiving a gift card, making them the most-requested gift item for the last nine years running. The beauty of the gift card, of course, is that it allows the recipient some flexibility and control over what they receive, so the giver never feels like they might have gotten the wrong gift. Gift cards are a great opportunity for your beauty business, as not only do they bring cash, each gift card purchase actually represents two customers, the purchaser and the recipient. However, few spas attempt to gather information on the recipient at the point-of-purchase, as this can slow down the transaction. 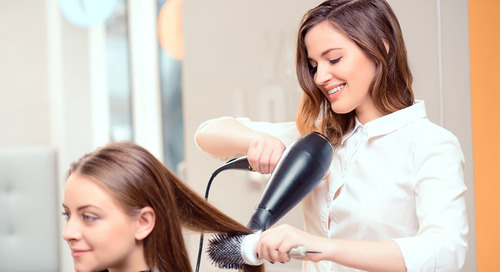 Unfortunately, this leaves the business unable to market to the gift card recipient post-holiday, so if you are able to collect that information at the time of the sale, you’ll be that much closer to being able to claim that revenue by encouraging the recipient to pay a visit to the salon. If the lines are not too long, have your customer service staff at least ask the purchasers if they have information to share on the intended recipient. Many salons and spas run a promotion for gift card sales, known as a BOGO, “buy one get one.” For every gift card purchased over a certain amount, say $150, the purchaser receives a card for $25 towards a visit of their own, thus encouraging at least two visits out of the one gift card sale. When this second promotional gift is given in gift card form, it adds to the business’s balance sheet liability and, depending on state law, may never expire. It’s smarter for you to give this second smaller amount in the form of a voucher or coupon, and that will also allow you to place some restrictions on it. Perhaps you might restrict the application of the $25 towards purchases over a particular amount, or for certain days of the week, and you would certainly want it to have an expiration date in the near future, maybe March 31, 2016. If you are fortunate enough to be able to gather at least an email address on the gift card recipient, then you have more marketing options. You can run a promotion that adds incentives to the gift, such as free upgrades or added time, to encourage the recipient to schedule their visit in the near term. What you don’t want is for them to stick the gift card in a drawer where they won’t find it or use it for a year or more; after all, that revenue cannot be claimed on your income statement until they actually come in and redeem the card for a service or product. Once the recipient comes in the first time, you can use a voucher or coupon promotion to get them back a second time, or to return with a friend, or to promote retail products. Again, a voucher does not extend your liability, but can be an effective way to get more mileage out of that original gift card sale.